A custom implant is unique in its anatomical form and it is made specifically for a particular patient. It combines the collaborative skills of the surgeon, the designer and the manufacturer, for the best possible outcome. 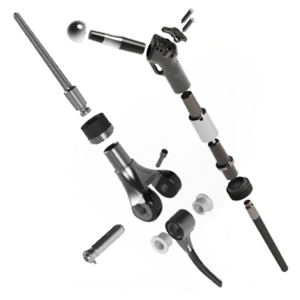 Modular implants encompass a group of components, which when assembled, form a functional implant that replaces partly, or totally, a long bone and a joint. Reconstruction of large maxillectomy defects following tumour resection presents a formidable challenge to both surgeons and prosthodontists. 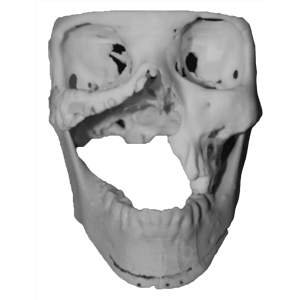 However, it is possible, by using transport distraction osteogenesis (TDO) to re-form a functional palatal vault, alveolar ridge that can house dental implants and a vestibule for the supportive form and function of cheeks. Although pelvectomies are the rarest of lower extremity surgeries, they may be required for reasons of trauma or cancer. Cancer cases involve sarcomas such as Ewing’s sarcoma, osteosarcoma or chondrosarcoma. In cases where an internal hemipelvectomy can be performed, for a limb-sparing procedure, a custom implant can be designed specifically to fit in the place of the resected part of the pelvis. 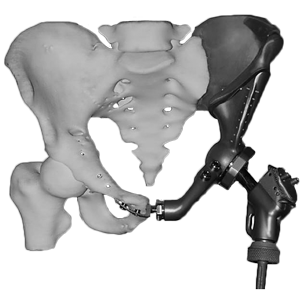 Custom implants for the pelvis replace any of the 3 regions I, II and III or a combination of them. 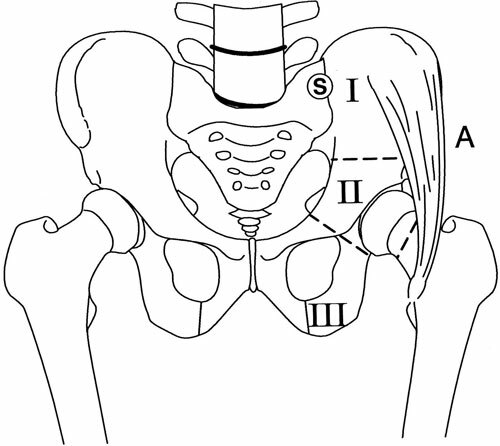 The mechanical importance of the implant is not only to replace the missing region, but also assist in closing the pelvic ring and in skeleton stability, when the ground reaction forces are transmitted through the sacroiliac joint to the spine. Custom implants for pelvectomies are supplied by ATTRI, where great care is taken to design and model the prosthesis exactly to the margins specified by the surgeon. The implant is made from medical grade titanium powder and is manufactured using a 3D printing process, which allows complex surfaces to be produced. Invariably, pelvectomies involve region II, in which case a proximal femoral replacement is also required. Pelvectomies that have been performed using implants designed by Dr Vicatos, involved regions I and II, region II, regions II and III, and regions I, II and III.